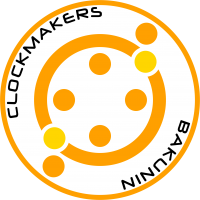 The Clockmakers are the most valuable contribution of Bakunin to the Nomad Military Force. They are combat technicians with the special ability to compose, repair, reconstruct and invent on the fly. Their mission is to give technical maintenance on the battlefield. It’s well known that the Clockmakers apply radical neuronal enhancement programs to themselves, implanting memory expansion wetware full of technical specifications and data. Interface connections stand up from the bases of their skulls, to facilitate man-machine communication. As with any other individual born in Bakunin, they are eccentric characters, with an extravagant look and esoteric practices. Specialists in non-linear thinking, their solutions to technical questions are both cutting edge and genial, but, like everything experimental, sometimes fallible. 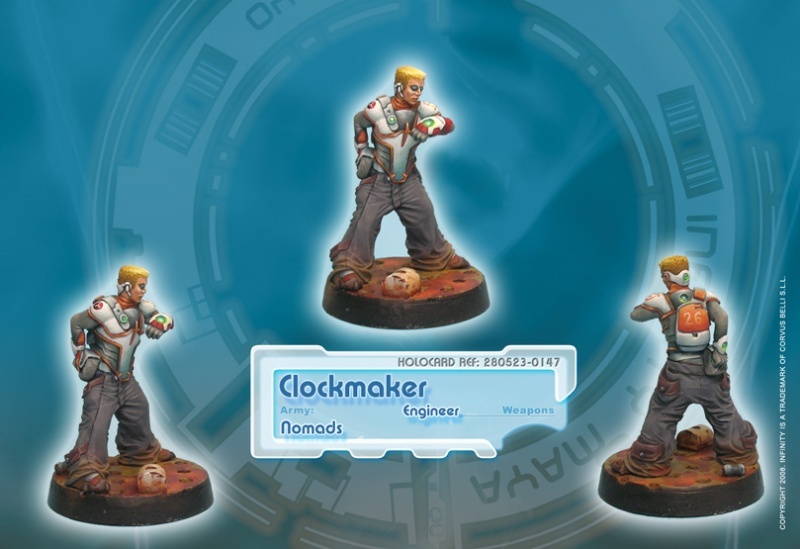 The Clockmakers are worth their weight in gold, being highly appreciated by Nomads and also by any faction who needs a boost to its technology levels, so it is recommend to always capture them alive. This page was last modified on 3 April 2018, at 09:00.